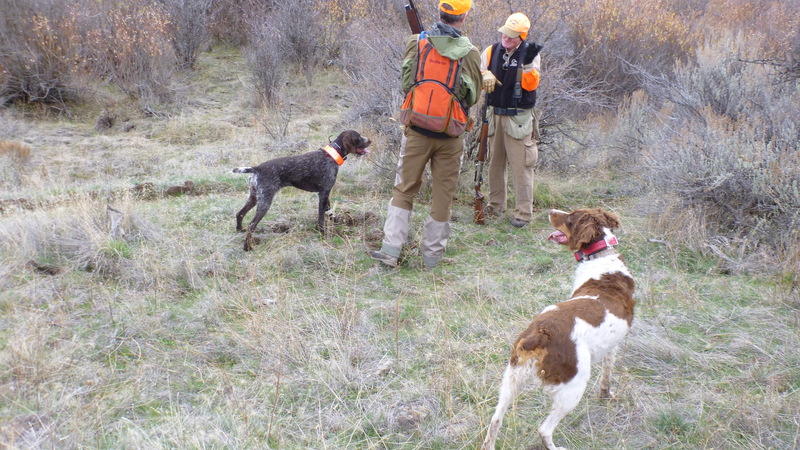 Chukar Culture: OMG, OMG, OMG: The disap-POINT-ment! OMG, OMG, OMG: The disap-POINT-ment! Instead of searching google images for pictures of bubbles bursting, my penance for what I’m about to share should be that I’ll write ten thousand words about how my beloved avian-pursuing canine embarrassed the hell out of me this afternoon. But that wouldn’t be fair to share because it would be cruel and unusual punishment to anyone who happened upon this cyber-rag, not that they wouldn’t be deft enough to click their “back” button immediately upon seeing this cascade of garba-verbage. So I guess I’ll continue. To wit: Angus blasted through another dog’s point and busted the covey before either one of us could get a shot off. Here’s the story: first time hunting with our new friend from the ‘hood who’s been at the upland bird game since I was barfing up yogurt all over my mom’s handmade kitchen aprons with multi-colored carrots and palm trees. We hiked a long ways. Sam’s 8-year-old Drahthaar, Hannah, had earlier found a small covey of Huns that Angus totally missed (an infraction for which I forgave him in the moment, largely because I managed to drop one of the birds on a prayer of a second shot). We walked a long way. We walked farther. Stuff was beginning to hurt in my body, which is a quarter of a century younger than my companion’s. Jesus H.
Anyway, we’re walking, we’re walking. Sam stops, looks at his Astro and says, kinda like Christopher Walken might announce that his cousin had just won the Nobel Peace Prize, “Hannah’s pointing 211 yards that way,” which was the opposite direction I thought Angus was. A sucker for technology, I followed Sam, wondering where the hell Angus was. Angus has a talent (for lack of a better word) for being places you never imagined he could be, and then appearing, seemingly out of nowhere, in a blur, on his way to seemingly the next nowhere. But he didn’t appear within the normal time period. So, soon I began fantasizing about coming over the next undulation and seeing Angus locked in point right next to Hannah, like he used to do with his older sister back in the day (on garden snails, grapes, and grasshoppers). Tripping over the basalt scraps and baby-head lava rocks and medusahead noxiousness I dreamed my darling baby boy would do me proud and redeem himself of his earlier non-find of birds by co-nailing what was to be our final covey of the day. I thought of Drahthaar and Brittany flanks touching in a pregnant moment of pointing paralysis, the ellipses preceding the climactic rise and fall of a rare group of game birds beaten at their own game by a collaborative quartet of canine-human predators totaling 140 years (224 if you do the dog-year conversion). And then Angus came bounding up from the other direction. Uninvolved. Oblivious. Enthusiastic. That was bad enough. He’d been shown up again. By a Drahthaar, no less. OMG. I buzzed him to make sure he’d stay close and not bust the covey Hannah was holding. We still had 40 yards to go. Angus kept straining beyond the reach of the buzzer, and I kept pulling him back. To his credit, he obliged, mostly. But in the final approach, in the excitement of knowing Hannah had been locked on birds for the time it took our bodies to traverse the 211 yards and that we were about to capitalize on her expertise and our luck in finding what was sure to be another undersized group of birds in this bizarrely scant season, I momentarily lost track of Angus. Exploiting the gap, and still in “find” mode, Angus – not aware of the concept of “honoring” or “backing” another dog’s point – blasted past Hannah just before we were able to get in position. Bitterbrush, Basin Big Sagebrush, undulating terrain, rocks, and birds – maybe 8 of them – flew every which way. I fired a prayer of a long shot, which has still not been answered. Have you ever experienced this humiliation? Have you ever been forced to ponder how on earth your otherwise miraculously olfactoral buddy could not have scented birds which another dog was locked onto for a long, long time? OMG. OMG. OMG. I enjoyed your account of yesterday’s mishap. Knowing your new human hunting partner, I am sure he has forgiven you. Guess what…children do this all the time to their parents. We work relentlessly in the hopes that your own children will make the right decisions and “not humiliate you” when a test occurs. They sometimes surprise us with poor choices, but that gives us a chance to practice more…and hopefully increase the percentage that they get it right. Angus will continue to surprise you when he makes the right choice! I had a english pointer who held point fine unless we were hunting with another dog then she would edge ahead of the dog she should have honored. It was beneath her to admit the other dog located the birds first.I also ran her in field trials but most of the time she made it clear there was room for just her out in those fields. She would hunt with me only but no other dogs.She was jelous I believe.Shake it off it happens to the best of us. I still hunt alone most of the time especially if they have their own dog. Thanks, Alan. My post was slightly tongue-in-cheek. I think this season’s lack of decent bird numbers has started to take its toll on Angus’s ability to focus and on my capacity to tolerate the new reality. We got into some quail last night and Angus, I’m glad to say, wowed me with his intensity and an incredible retrieve. It happens all the time, if Angus couldn’t claim those birds in a point, then no one could. Compound that with fact that you were hunting with a new friend and things are bound to unravel. 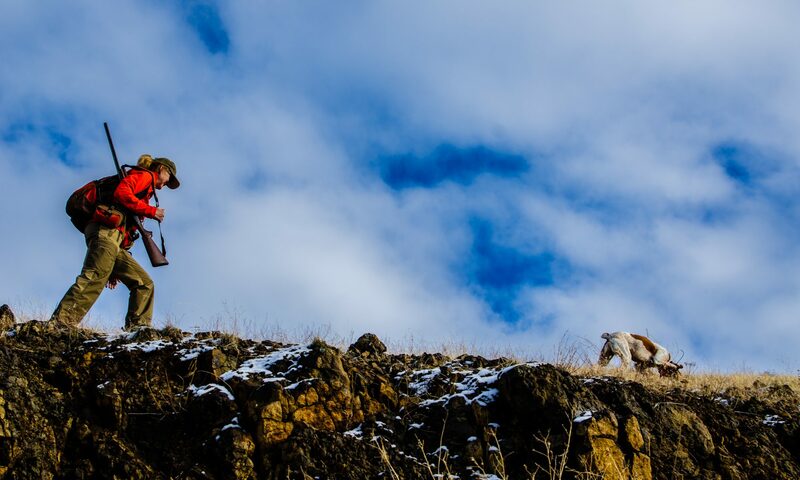 Dogs always do something goofy and uncharacteristic when you are hunting with someone new and trying to make a good first impression-especially if you talk your dogs up as much as I do . Last time I hunted with someone I just met, I left my dog at home… and his dog ( that he had talked up quite a bit) ran amuck the whole day, and I got to sit back smugly as if I had never experienced such a catastrophe in canine behavior. it all comes out in the wash, whatever that means. I’m starting to get the point. Every day’s a new day. Can’t wait for the next time.